Frankford Arsenal has been releasing a LOT of great products that have captured quite a bit of attention lately! Recently I posted a story covering the new Frankford Arsenal M-Press, and in this post I’ll cover another new product Frankford Arsenal product that’s really innovative. This new product takes powder dispensing to a new level- it’s called the Frankford Arsenal Intellidropper! The Intellidropper is now ready to use! Check to make sure the powder drain is closed! Once you have completed these steps, you simply enter the charge weight desired and press the “Go” button. Because of Frankford Arsenal’s proprietary algorithm (which is run during the powder calibration) this scale can dispense a powder charge very fast! During my testing I didn’t encounter any overcharges either which is notable. The two powders I tested were Vihtavuori N140 (a rifle powder) and Vihtavuori N340 (a pistol powder). Interestingly, both took right around 13 seconds for each charge thrown. I had expected the lower charge weight to run slightly faster, but that wasn’t the case. 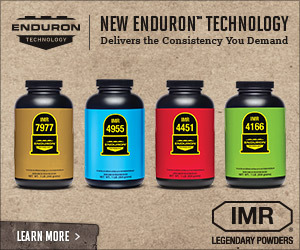 In addition to the powder calibration, there’s another feature only available on the Intellidropper: a connected mobile app that’s free to download from the Apple App Store, or the Google Play Store. Send data from your loads directly to the scale. When you launch the Intellidropper app, it uses Bluetooth Low Energy (BLE) to find the Intellidropper hardware and will connect to it automatically. The Frankford Arsenal Intellidropper brings some big innovations to the electronic powder measure ecosystem. With optimized charge times (thanks to powder calibration) and the connected app, this product is compelling for sure. Price (around $200 street price as of the writing of this article). Performance (charging speed, lack of overcharges). Features: integrated bubble level, calibration weights, brush, cover, good capacity. Connected app – it’s free and is very handy for dealing with loads and controlling the Intellidropper. The power button had come off in shipping (clicked right back into place). Like other scales in this price range, I observed some drift in zero, and it’s quite particular on consistent procedure to get good results. Warming up the scale for at least 1/2 hour will help to minimize these issues. Having the cover in place affected scale readings a couple times, so I decided not to use it. I think this scale will be a great addition to my reloading room, and look for it in upcoming stories. I’d love to hear what you think about the Frankford Arsenal Intellidropper… Please leave a comment! If you are interested in purchasing the Frankford Arsenal Intellidropper, check it out at Midsouth Shooters Supply! What were the average and standard deviations on the throws? Another good review Gavin. Hope to soon add one of these to my shop. Thanks again ! I had the same problem with the cover causing some issues on final dispensing weight on my RCBS Lite unit. (A very similar unit) I too had general stability issues until I wiped down the unit (Inside and out) with dryer sheets. I am convinced the problem with the cover is static electricity not air flow. After the dryer sheet wipe down I have had zero stability or over / under dispensing charges. Looks like this unit has some nice upgrades. Inovative features without quality is no bargain, just Chinese landfill fill. Much of what you covered amounted to exploiting the obvious. I also noticed you were not near walls carrying AC wiring and I don’t know if you had fluorescent lights or s cell phone near. Want to stop the wandering and guessing, build a simple ‘faraday cage’! I would live to past pictures of mine here but I can’t.